We are very excited to be offering this two-day workshop in Integrative Energetic Medicine with healing professional, educator and spiritual teacher, Dr. Fernand Poulin, at Relax Firenze in the historic heart of Florence. Our two-day workshop is open to all who are curious about energy work and how to heal themselves and others and also for those who wish to update their skills. It would also be of great interest to other professionals in the holistic healing world. What is Integrative Energetic Medicine? Integrative Energetic Medicine, founded by Dr. Fernand Poulin, is based on the fundamental premise that our body and psychology (thoughts, emotions, beliefs and attidudes) are vibratory expressions of energy. All living things are infused with a 'subtle' energy or life force known in eastern traditions as Chi, Ki, spirit or dosha. Physical and emotional trauma is reflected energetically too in the body whilst a healthy life force is the optimal environment and subtle container for the integrity and well-being of all cells. The body, soul and spirit can be restored to balance through healing. Who is Dr. Fernand Poulin? We are very honoured to be able to work with Dr. Poulin here at Tuscany Arts and Healing as he brings his work to the public in Italy for the first time. Dr Fernand Poulin is the founder and director of the WhiteWinds Institute of Energetic Healing in Atlanta, Georgia, in the United States. 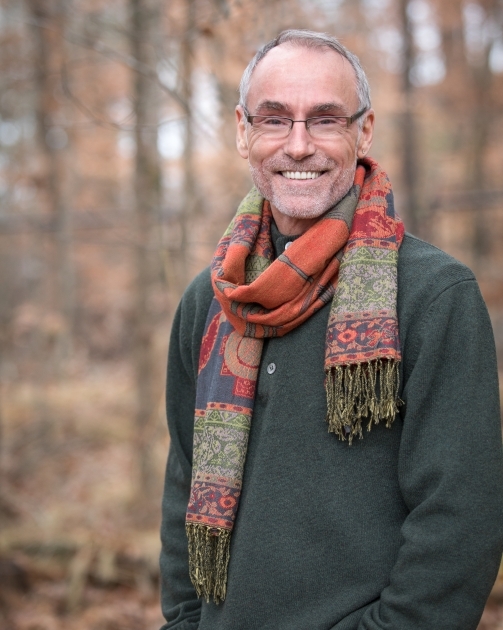 He is an innovative thinker and writer with over 35 years of research and practice in the field of Energy Medicine. At the age of 24, he experienced an awakening in which he began to see colours and patterns of energy around the human body. From then on he began his journey into formal study with Native American Medicine people, shamans, and spiritual healers from around the globe. Dr. Poulin brings a comprehensive synthesis of physical, energetic and psyscho-spiritual healing to his students and patients. He is also a Doctor of Chiropractic, and is trained in Cranial Sacral therapy, Applied Kinesiology, Somato-Emotional Release Technique and Visceral Mobilization. 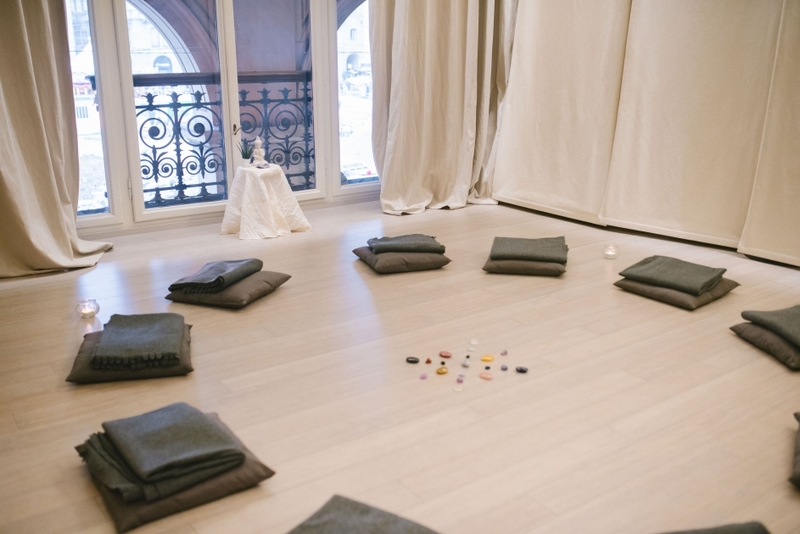 We are scheduling in a number of events at Relax Firenze to tie in with this workshop including our Anatomy of Awakening one-day meditation intensive on 4 May, a healing circle on Wednesday 8 May2019 (10.30am-12.30pm), and private sessions with Fernand on Thursday 9 May 2019 from 2pm onwards. For full details of our Healing Circle and and to book a private session with Fernand, please email tuscanyartsandhealing@gmail.com. If you are from out of town, why not come and stay in Florence, the cradle of the Renaissance for a few days. May is a glorious month in Tuscany and it is not the height of the tourist season there. 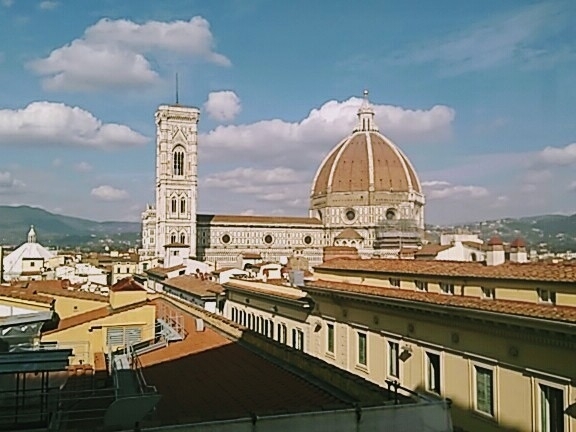 We can help find you places to stay in town and even organise a bespoke package for you including a massage, yoga and Pilates at Relax Firenze and a private guided tour of this gem of a city. Please contact us for further details on tuscanyartsandhealing@gmail.com. The total cost for the two-day workshop is €240 which is inclusive of the 2-day course, lunches and all refreshments as well as any handouts. €50 non-refundable deposit will secure your place payable via Tuscany Arts and Healing's Paypal account (email to use is tuscanyartsandhealing@gmail.com) or in cash if you are a local participant. The balance is to be paid in full by 4 May 2019. If you cancel within five days prior to the start of the course you will be liable for the full amount unless you can find someone else to fill your spot. Relax Firenze is a wonderfully welcoming holistic centre in the heart of Florence. It is situated in Via degli Strozzi which connects Via Tornabuoni with its designer shops to the open space of Piazza della Repubblica with its cafés and bars including the renowned le Giubbe Rosse frequented by artists and writers in the early years of the 20th century. Our retreat day will take place in the dedicated light and airy Studio space overlooking Piazza della Repubblica. Refreshments during the day will be offered in Relax Firenze whilst lunches will take place in specially chosen local restaurants. We are delighted to be able to offer this relaxing and enlightening one-day meditation intensive with renowned international educator, healing professional and spiritual teacher, Dr. Fernand Poulin at Relax Firenze in central Florence. Take a day out for yourself away from the hustle and bustle of modern life in the restorative ambiance of Relax Firenze with our one-day meditation intensive under the expert guidance of Dr. Fernand Poulin, founder and director of the WhiteWinds Institute of Energetic Healing in Atlanta, Georgia, U.S.A.
Our retreat will be conducted in English. No previous experience is necessary, just a willingness to be curious and open-minded. Meditation is the process of quietening the mind in order to promote a state of relaxed awareness and deep rest to body, mind and soul. In this retreat you will learn how to become aware of your inner being, your awakened self through meditations, demonstrations, practice and shared conversations and how to access the place where the awakened self in our energy field is located and achieve a calm state of pure consciousness within. This state of awareness already exists but it sometimes a little guidance can be so helpful to allow you to be in that inner state of wellbeing and awareness. We are very excited to be able to introduce Fernand's work for the first time to a European audience here at Tuscany Arts and Healing. Dr. Fernand Poulin is founder and director of the WhiteWinds Institute of Energetic Healing. He has over 35 years of research and practice in the field of Energy Medicine, bringing a comprehensive synthesis of physical, energetic and psycho-spiritual healing to his students and clients. At the age of 24, he experienced an awakening in whicch he began to see colours and patterns of energy around the human body. This life-changing event began his journey into formal study with Native American Medicine people, shamans, and spiritual teachers from all parts of the world. He has a Doctorate in Chiropractic, and has also trained in Cranial Sacral Therapy, Applied Kinesiology, Somato-Emotional Release Technique and Visceral Mobilisation. He is also a Mesa carrier of the Pachakuli Shamanic Tradition of Peru. The cost for the day is €85 inclusive of the teaching, lunch and all refreshments. €25 deposit will secure your place payable either in cash for local participants or via Tuscany Arts and Healing's Paypal account (tuscanyartsandhealing@gmail.com). The deposit is non-refundable. The balance is via Paypal as above or in cash for local students by 27 April 2019. For cancellation within 5 days of the retreat day, you will be liable for the entire payment unless you can fill your spot. For those of you from out of town, why not make a mini break of it in the glorious Renaissance city of Florence? We can find you places to stay in central Florence and for those who choose to stay for a few days, we can create a bespoke package for you including massages, session of yoga and/or Pilates at Relax Firenze as well as private walking tours or wine-tasting in the Chianti hills. Please email tuscanyartsandhealing@gmail.com for full details. 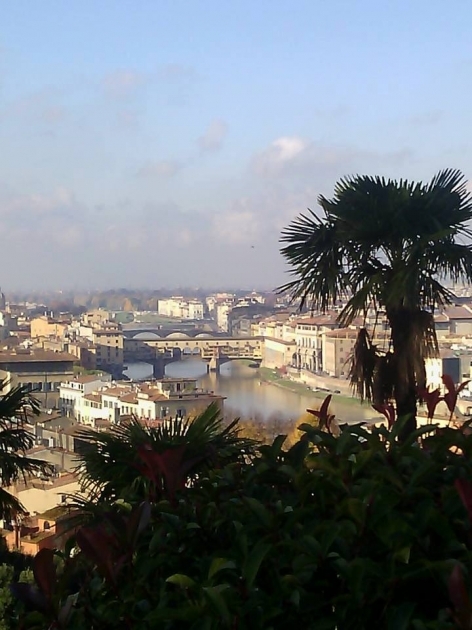 Relax Firenze is a wonderfully welcoming holistic centre in the heart of Florence. It is situated in Via degli Strozzi which connects Via Tornabuoni with its designer shops to the open space of Piazza della Repubblica with its cafés and bars including the renowned le Giubbe Rosse frequented by artists and writers in the early years of the 20th century. Our retreat day will take place in the dedicated light and airy Studio space overlooking Piazza della Repubblica. Refreshments during the day will be offered in Relax Firenze whilst lunch will take place in a specially chosen local restaurant. 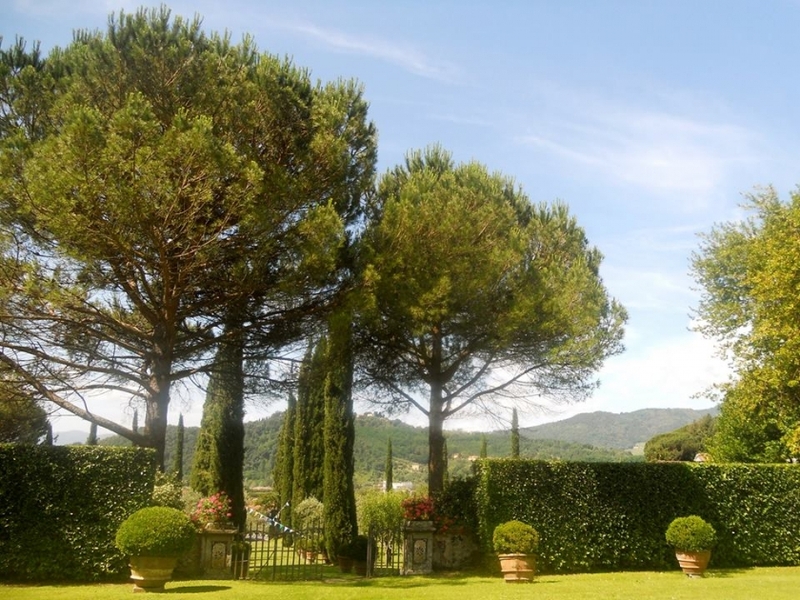 Take a day out for yourself and enjoy all the benefits of personalised yoga instruction with an inspirational teacher in a stunning location, easily accessible by car and public transport from Lucca. Our Yoga Retreat Day, which will be conducted in English, will offer a gentle flow of postures (asanas) with consistent attention to the breath. The Workshop is suitable for all levels. The emphasis in the morning will be on more dynamic postures that provide a strong foundation for the day. In the afternoon, we will focus on restful and restorative poses that will relax the body and still the mind. Joann has taught for over 30 years in Aspen in Colorado and has led Yoga Retreats in Mexico, the United States and Italy. She has developed a teaching style based on many years training in the Iyengar tradition, primarily with Ramanand Patel. Angela Farmer also had a strong influence on the more gentle approach to the postures. She is currently based in Lucca where she offers regular classes in Hatha Yoga. 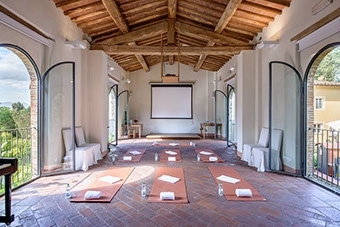 The Yoga will take place in the airy and light-filled Studio with its underfloor heating at Villa Boccella, near Lucca. Lunch and all refreshments will be served in the adjacent Dependance with its lovely dining room, log fire and attractive conservatory. The cost for the day is €85, inclusive of yoga instruction, all yoga props, freshly-prepared vegetarian lunch and all refreshments (special Early Bird offer of €75 for the day for all bookings confirmed before 22 February 2019). €25 deposit will secure your place payable either in cash for local students or via Tuscany Arts and Healing's Paypal account (tuscanyartsandhealing@gmail.com). The deposit is non-refundable. The balance is to be paid in cash on the day. For cancellation within 7 days of the Retreat, you will be liable for the entire payment unless you can fill your spot in which case all monies will be returned. For those of you from outside town, why not extend your stay and make a mini break of it? Tuscany is resplendent in the Springtime , and the beautiful historic walled city of Lucca is an ideal base from which to explore further. We can find you places to stay in local friendly bed and breakfasts, advise on restaurants and local attractions and organise air transfers – just contact us for more information at the address below. 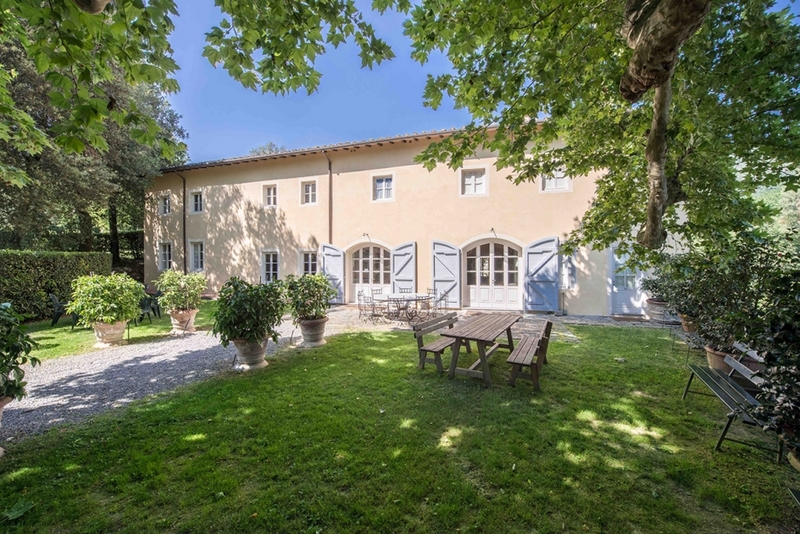 Villa Boccella is an immaculately restored 17c Tuscan estate with extensive grounds set amongst the rolling hills of N Tuscany. It is very well situated only 10km from the historic, walled city of Lucca and an hour's drive from Pisa with its international airport. Our Retreat takes place in the Dependance of the Villa and we will be using the adjacent. light and airy Studio with its underfloor heating for our yoga sessions. There will be ample opportunity to explore the fine landscaped gardens with rare specimens of trees and shrubs and views over the surrounding countryside. It is a truly magical place.